How about adding a beautiful, frilly touch to your next quilt? 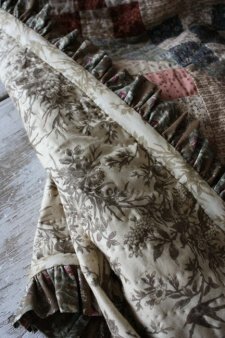 Ruffle binding adds a classy accent and with this tutorial from Alma Allen of Blackbird Designs it is easy to learn and apply to your own work! The contest she mentions is well over (check the date!) but her techniques are excellent and will be of great use to you. Enjoy!